The brand ethos over at Jo Malone strikes me as decidedly mainstream and (very) British; they've made a virtue out of simplicity by emphasizing the layering — or fragrance combining, as they prefer to phrase it — possibilities of their relatively linear, usually clean and often sheer scents. Here and there, they've ventured out into the exotic (did anyone try the Cologne Intense collection? I've seen nary a word), but with the new unisex Tea collection, they're back on familiar ground both for them (what could be more British and straightforward than tea?) and for us (tea fragrances not being exactly thin on the ground). Assam & Grapefruit is my early favorite of the five. I say early because it's the only one I've put on skin more than once, but short of a miracle, nothing is going to topple it from the top of the heap; Sweet Milk would make an agreeable layering agent if you didn't already have something like Demeter Condensed Milk, but the other three (Fresh Mint Leaf, Sweet Lemon, Earl Grey & Cucumber) failed to move me. Assam & Grapefruit, on paper at least, is wonderful stuff, and it shows promise on skin too, if you apply generously and then go ahead and apply a little more for good measure. The opening is crisp and tart, with grapefruit and rhubarb. It softens rapidly, and gets slightly spicy (a little dash of cardamom) and builds into a nice black tea base (the assam, done here as a mildly malty but not at all smoky black tea note). I did not notice the rose and almond until I put at least 5 or 6 sprays on skin, but yes, they're there, and the almond adds a gently nutty aspect to the dry down, which also includes patchouli (squeaky-clean and pale) and musky woods (likewise). My complaint about Assam & Grapefruit is one that is frequently aimed at Jo Malone fragrances: it's just a bit too soft and sheer and well-behaved. It isn't merely a matter of concentration; I wish they'd amped up the tea and spices, given it more sizzle and verve, so to speak. Admittedly, it might just be that this isn't the best time of year to try it — I'm guessing it will make a better showing in warm weather. I did try layering it with Sweet Milk to give it more body, but I found the combination vaguely unpleasant. For citrus and tea, my personal favorite is my long-time staple, Hermès Osmanthe Yunnan, which is likewise more transparent than not but which just has more oomph. Still the Assam & Grapefruit is very much worth a try, and it easily beats out the Hermès in terms of price and availability. Jo Malone Assam & Grapefruit was developed by perfumer Christine Nagel. It is a limited edition, and is available in 30 ml Cologne for $55. Note: top image is Grapefruit by geishaboy500 at flickr; some rights reserved. Oh dear! I’d hoped the Earl Grey & Cucumber would be good. That’s a shame. But then it is the problem I’ve had with every Jo Malone: too sheer & linear. On the average, how long would you say JM fragrances last on you? I tend to not like fragrances that are so sheer because that equals 5 minutes on my scent devouring skin. Dolly, I think it depends on the scent. I have serious scent-devouring skin and several JMs don’t present a problem for me. I’m thinking of Lime Basil Mandarin in particular, but also Grapefruit and Pomegranate Noir as having decent lasting power. Also, that pair of “Kohdo Wood” scents was decent. LBM is citrus on steroids….so yeah, not all of them. I’ll give it a try. I drink enough Earl Grey to love the smell. Not a fan of cucumber either. I too love Osmanthe Yunnan but it’s gone in a flash on me. Will be interesting to see if this lasts longer, especially if I need to spray 4-5 times for it to wear properly. I find that OY actually has a decent lasting power if applied generously and, most importantly, on fabric. It’s certainly sheer but I keep catching little wafts of it throughout the day if I apply it that way. It isn’t a powerhouse on me, but a few hours. This headline grabbed me (love Assam tea) though I’d seen the announcement of the series before. Didn’t register before that these were LE (why, why?). This sounds good to me. I actually like several JMs — I find them easy to wear and very pleasant overall. I wouldn’t mind owning many of them. 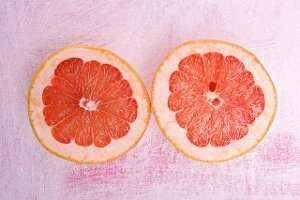 The original Grapefruit was an early love of mine and I still think it’s great — quite woody and different to most grapefruit scents (not as sharp or high-pitched). I think I’ll have to make sure to try this. Always nice that JM does the 30ml size; even nicer when I can find them at a discount somewhere. Speaking of tea, did you ever try any of that “Very Novel Collection” of tea scents from Anthropologie? I tried several, and one or two stood out to me at the time, but there were too many (of course) and I didn’t feel compelled to buy or anything. Agree, they’re a good resource for pleasant/easy to wear, and I like that they’ve always done the small sizes. This is an odd collection, sort of…I do think they could have done more with the tea angle (2 of the 5 aren’t really tea scents, just “mixers”). And no, looked for them at Anthropologie but couldn’t find them…maybe my store didn’t have them? Cool that they did those in rollerballs. So you’ve put your finger on it – JM fragrances are well behaved. They are aimed at what must be a large group of people who don’t want to say much with their fragrance and certainly don’t want to offend. Which is fine of course, tho’ tantalising when you consider what a fragrance like A&G might have achieved. I’m in Australia so have to pay a mark-up over the US prices (most JMs start at $80 here, I think) and that to me makes them over-priced for what you get. In a way, yes, but in another, they’re not aiming for the lowest common denominator…and what they do, they usually do well. It just isn’t necessarily the sort of brand perfumistas are going to swoon over. “Well-behaved” is not necessarily a bad thing. There are days that I need and depend on my “elevator fragrances” because I am going to be overheated, working with a large group in a small room, or just not up to pulling off a big-sillage scent. The Assam/Grapefruit didn’t thrill me. I love the Earl Grey, which on me smelled not at all like cucumber, which is great. It smelled of light smoke, bergamot, and the whiff of spice at the back of the throat. It lasts about 4 hours on me. How funny that you are a reviewing this today since I tried all 5 this afternoon. Assam was also my favourite, closely followed by Sweet Milk. I thought Earl Grey was particularly lacklustre. I rather liked the Assam opening, the tea note was lovely but it hardly lasted at all on skin. The rest was pleasant enough but nothing amazing. My overall impression was poor man’s Osmanthe Yunnan. I tried the Cologne Intense collection a while ago and wasn’t impressed. I thought the oud was the most interesting of the lot (also the only one that was sold out at the time) but even that was very tame, polite and …well…Jo Malone. I didn’t like The Iris & Musk one and I don’t even remember what the others were. Patchouli? Whatever, not worth going out of your way to try. Even with Christine Nagel being the perfumer and this sounding the most interesting to me out of the five initially, I have to say I wasn’t going to dash out to try this one. But the phrase “poor man’s Osmanthe Yunnan” might have me making tracks! I love OY that much and it is so darn expensive. I have the Hermessence travel set, but it pains me to think of shelling out for the big bottle, especially in Canada . Yeah, but I think that if you really love OY, you’ll still prefer the rich man’s OY, which of course is OY. But please report back. I really liked OY but found it so fleeting that I reluctantly struck it off my “save for a bottle” list. I definitely do NOT have “funds,” so a poor gal’s Osmanthe Yunnan really sounds like my kind of thing. Eh, watch evilbay. I just nabbed a 15 ml bottle for a semi-reasonable price (which I’m forgetting just at the moment). I had a similar experience with Bois des Îles – at least the EDT version – which just doesn’t last on me. I get a few hours of wear from OY and La Pausa, and I’m lucky to get an hour or two out of BdI, no joke!. That’s why I was so pleased to discover Champagne de Bois which is a similar concept, lasts for days and is more affordable. I agree 100% with you on the Bois des Iles vs Champagne de Bois – I love BdI, but the Exclusifs version is so much thinner than the first sample I got from TPC that it just disappoints me. CdB is much spicier and a bit less elegant, but a wonderful alternative. I’m finding that, with the cold dry air outside, and the hot dry air inside, that many scents virtually disappear on me very quickly. Almost makes me hesitate to try new ones. Almost…. I would have thought that was all there was to it if I hadn’t worn this one next to Osmanthe Yunnan (and also Bvlgari Green tea) — it isn’t just the weather. Still, do think this will “bloom” better in warm weather. I tend to love scents with grapefruit and rhubarb in them, I’ll be interested to see how this wears. I’d like to test the layering with other JM scents I have like Pom Noir. Does this scent have a bitter aspect to it? No, I don’t find it bitter at all, and the grapefruit + rhubarb is pretty full and not at all urinous or sweaty — I’d say there is orange & other fruit in there as well. I tried these at Nordstrom yesterday. I didn’t care for any of them enough to consider buying and felt very let down by the Earl Grey. Nonetheless, I signed up for a JM “Tea Party” in March. I don’t know if they are all doing it but thought I’d mention it in case anyone is interested in checking with their local store. Yeah, I really wish they’d gone in another direction with the Earl Grey…made it closer to the smell of the tea, which I adore.